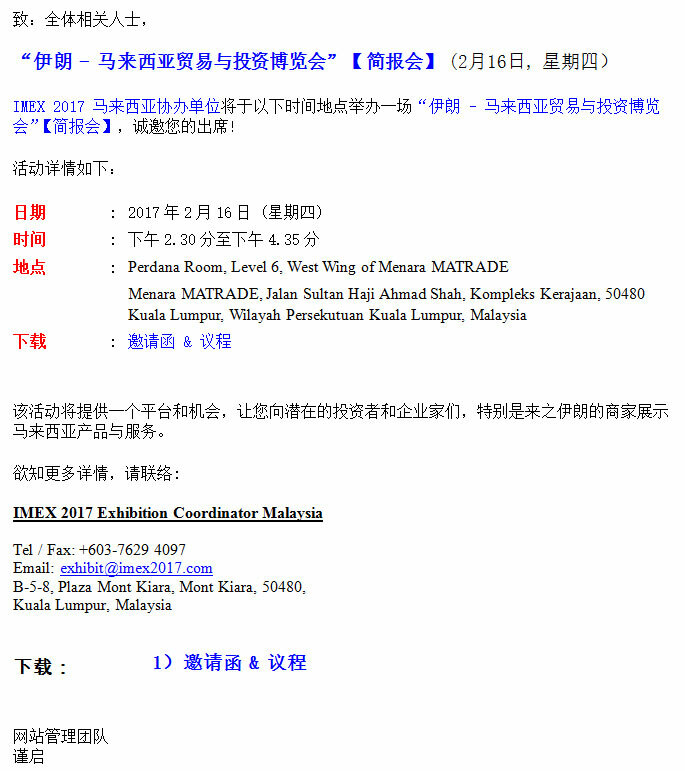 Please be informed that IMEX 2017 Exhibition Coordinator Malaysia would like to invites you to participate in the Iran-Malaysia Trade, IMEX 2017, Tehran, Iran Expo Briefing on 16th February, 2017. We have the unique opportunity of being the first group to present our Malaysian products and services to potential investors and business owners especially from Iran. Please RSVP by 15 February 2017, Wednesday via email ([email protected]) or contact LEE (+6019 8888 249) or SARA (+6017 2465 571).